New York Off Broadway productions include GOD SAID THIS,(Lucile Lortel award leading actress nomination), KENTUCKY, SAYONARA, SONG OF SONG OF SONGS, TAMAR OF THE RIVER, TEA WITH THE HAIKU GEISHA, TWO CITIES, TEA HOUSE OF THE AUGUST MOON, A MAJORITY OF ONE, SHOGUN MACBETH, GASHRUM KOTWAL, Velina Hasu Houston’s play TEA and KOKORO . She has worked in some of America’s leading regional theaters, including Actors Theatre of Louisville (KY), Williamstown Theatre Festival, Arena Stage (DC), Alley Theater (Houston), Papermill Playhouse (NJ), TUTS (Houston and Seattle), ESIPA (Albany), ACT (Seattle), Pittsburgh Public Theater, and the Contemporary American Theater Festival (WV) andO’Neal Playwright Conference. She was the Oregon Shakespeare Festival acting company member, 2010-2012 season; she played as Lady Asaji (Lady Macbeth) in ‘THRONE OF BLOOD’, that was adapted/directed by Ping Chong from Akira Kurosawa’s film based on Macbeth, it was transferred to BAM as a part of the Next Wave Festival. 2011 season; as Soothsayer/Caius Ligarius in ‘Julius Caesar’ and as Madame Mercade in ‘Love’s Labor’s Lost’. 2012 season; as Acolyte/Ensemble in Mary Zimmerman’s ‘The White Snake’ and as Cook/u/s Polina in ‘Seagull’. 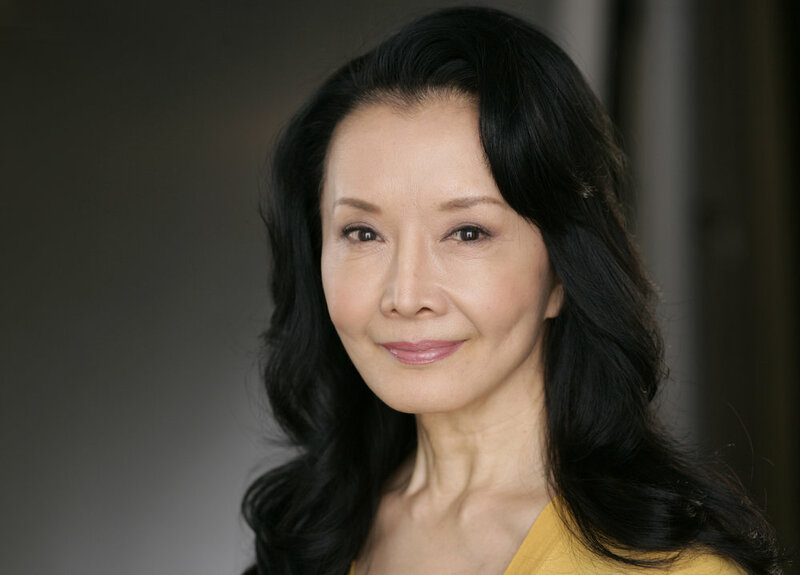 AKO was critically-acclaimed on tour throughout the U.S. as Katsumi in the musical SAYONARA based on James A. Michener’s book SAYONARA made famous in the Marlon Brando film. AKO recorded an Original Cast Album for the musical TAMAR OF THE RIVER (music by Marisa Michelson, book Joshua H. Cohen) in which she appeared in an Off Broadway production in New York in 2014. Ako will be in 'MOSCOW, MOSCOW, MOSCOW, MOSCOW, MOSCOW, MOSCOW' by Halley Feiffer directed by Trip Culman at MCC on July-August 2019. Ako is also the founder artistic Director of Japanese-English bi-lingual theater company Amaterasu Za, and she is well known as a Kabuki choreographer and a Japanese authenticity advisor, and is a Certified teacher of Japanese Kabuki Dance. She dedicates her work to her mother Akiko and her husband Joshua Dachs, principal of Fisher Dachs Associates, a theater planning and design firm. She has appeared on stages he has designed at the Pittsburgh Public Theater and Arena Stage.